Barça have only been in New Yorkfor a few hours and the local media is already buzzing. Josep Maria Bartomeu had a date first thing on Thursday morning with some of the biggest names in the US: Bloomberg, Associated Press, Forbes and New York Times. 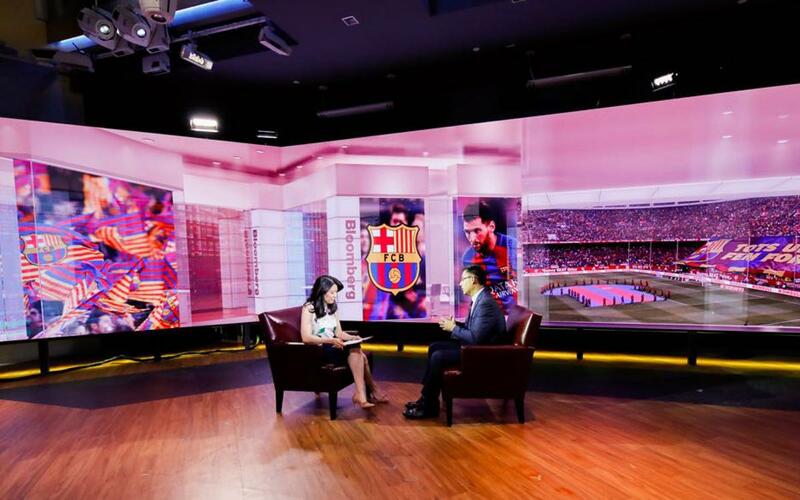 During the round of interviews, the club president spoke about the uniqueness of FC Barcelona, its sporting leadership and its plans to expand its brand throughout North America, one of the most strategic target regions for the club. He first headed for the Bloomberg studios at 731 Lexington Avenue for an interview with Scarlet Fu, and then spoke on the radio Bloomberg Business of Sports co-hosts Scott Soshnick and Michael Barr, and then conversed with Eben Envoy Williams of the written press. While they are in the United States, the president and his vice-presidents Manel Arroyo and Jordi Cardoner have a series of sessions lined up with other media outlets in Washington DC and Miami.